Foreigners in Greece, Greeks abroad or Greek citizens seeking to go abroad may need to have documents translated into Greek or another language during a process involving bureaucracy, such as getting married, converting a driver’s license, applying for a residence/work permit, applying for citizenship, applying at a foreign university and immigration to a country outside Greece. For certain transactions and documents, Greek authorities may request translations by a specific body and deem others unacceptable. 1st floor – From/to Albanian (must first be certified by a consulate abroad), Bulgarian, Chinese, Croatian, Czech, Georgian (must first be certified at a consulate abroad), Hebrew, Hungarian, Moldovan, Polish, Romanian, Russian, Serbian, Slovakian and Ukrainian and Uzbek to/from Greek. 3rd floor – From/to Arabic, Dutch, Finnish, Flemish, French, German, Italian, Portuguese, Spanish, Swedish and Turkish to/from Greek. A window offering to certify photocopies is also available. Bring the original document or a certified copy, a pen and cash. Basic translations taking up to two (2) weeks are no longer free as of March 2007, and expedited two-day service is available (pricelist follows). Fill out one form per document in Greek or English. For example, if the birth certificate has an apostille with the apostille letter attached, you need two forms even though they are attached; they are considered to be two different types of documents needing translation, not a fusion of the same (Note: Do not detach them or the apostille will be invalidated). If the birth certificate itself spans two pages, then this counts as one document requiring one form. See “Translation Application” to print and/or complete in advance. Submit documents and forms, pay and keep your protocol number and cashier’s receipt. Some sources say you can pay when you pick up the document, but they’ll likely ask you for a portion. It’s easier and faster to pay for everything up front since the person accepting your documents for translation can also take your money and issue a cashier’s receipt without you going to a second window and waiting in line again. Get a receipt. Pick up the documents on or after the date given. You must have the protocol receipt, cashier’s receipt and a valid form of ID, no exceptions. If someone else is picking them up, you must authorize them via police dilosi. It is not necessary to submit originals with apostilles for translation if you need them for another reason. You can make copies of these documents, have them certified at the police station and use these (see my article “How to certify a photocopy at the police station“). I found there were no objections. Just carry the originals for inspection by anyone wanting to see them. Certificates of study must be certified by the institution if foreign or KEP Citizen Service Centre if Greek. a) Via registered mail to the address listed above after a telephone consultation at (210) 328-5721 or (210) 328-5722.
b) Via ELTA courier or private courier (Fed-X, etc.). However, this involves cooperation from the courier as he/she must be given the appropriate fees, visit the cashier, complete Translation Applications in your name or use forms you complete in advance (one per page), wait in line and submit them, then keep the protocol number/receipt and pick them up and send them back to you. It’s not a simple delivery, and you need to authorize this person via police dilosi to act on your behalf. 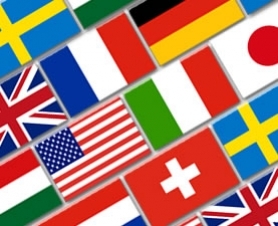 Translation by a lawyer or certified translator is permitted in some but not all cases. Because interpretations can vary, Greek authorities will sometimes not allow these options. In addition, you will pay a fee higher than the Translation Office. This article was created before official websites offered practical information in English, based on real-life experience and updated over the years with new information. It was plagiarized by a UK INFO source run by an EU citizen living in Greece less than a year, who rewrote my experiences as her own, then published them and my information in a competing article in March 2010. The website owners twice refused to enforce their own copyright policy and remove it. The Consulate in Washington DC did not provide translations, but offered a list of individuals who could do the translation that the consulate could then certify for a fee. Thank you for sharing your experience, but I don’t see how the info you provided is different than what I have above. Further, there’s no way I can address the specific services of each location since there are dozens around the world, and the services they offer vary greatly and may change at any time as locations shut down or cut back due to economic factors. This is why I encourage people to inquire. In “Certify a photocopy or other document in Greece,” I say that Greek embassies and consulates certify documents. Some charge a fee. Thank you so much for your excellent information. The Geek Greek Embassy and Consulate only translate birth and death records. I was not able to obtain official certified translation from English to Greek. A list was not available. Translations from English to other languages only for commercial establishments. one question about translations is do you know what the Greek government require in terms of translations of English language to Greek? Does a translated copy need to have names in both Greek and latin characters or leaving in latin characters would be ok.
As it says in the article above, the government accepts certain translations by certain services for certain documents, depending on how they’re used. You gave no specifics, so there’s way I can answer your questions. Many times authorities accept copies of passports and EU/EEA national IDs without a translation, but this again depends on the transaction. I want to ask If it is possible to translate from lithuanian Language to greek in your Office? I am a private citizen running this information website in my unpaid spare time; I do not work for the government. Last I checked, they do not accommodate Lithuanian. However, use the contact info provided above to call and confirm. I have apply my documents for epi makron a few days ago.please give me internet website for online check of epi makron. I assume you are inquiring about translations, as the article above is about translations. The MFA Translation department does not have its own website, and checking status online is a very advanced concept for Greece. You should have gotten a paper with protocol number and an estimated time of delivery for when your documents will be finished. You can check in person and by phone using the protocol number. I am a private citizen running Living in Greece in my unpaid spare time, and my taxes pay for public offices to help you. I do not work for the government. Your site has been a wonderful help while applying for my resident permit. I am nearing the finish line but have unfortunately come upon a substantial stumbling block in the final phase. First I should mention that I am a US living approximately 3.5 hours from Athens. I read on your site that papers requiring translation may be sent to the MFA Translation Service after a consultation by phone. I have called and called and called over a ten-day period—-helpful friends of mine have called and called and called—but no one ever answers the phone. So I filled out the applications for each page to be translated, wrote a nice letter, included a copy of my valid 90-day visa which I received from the Greek Consulate in Boston and sent it off figuring it’s worth a try. Predictably, it came back opened but rejected. I am hoping to avoid the cost and annoyance of a trip to Athens. Do you have any tips or experience to share? Because it is summer and August is considered a vacation month, many public offices are operating on minimal staff and may not be answering the phone. Public offices have also been known to change phone numbers without notifying the public they serve (I updated a few on August 4 and they haven’t changed since, as far as I know). There’s no way for me to know which. If you have a friend in Athens, I recommend completing a Translation Application (link in article) for each page being translated, sign a police dilosi (read the relevant section above and follow the link given), send them everything, and have him/her act on your behalf. I have no further first-hand tips or suggestions beyond the article above, except to visit in person. I’ve always done it this way even when I lived outside the country, though I realize it’s not the most convenient or cost efficient. I’ve rarely gotten anything done in Greece by phone, mail, fax or email in 17 years, and depending on other people is not as reliable as doing it yourself. By any chance, is it possible to have my birth certificate (issued and authenticated by Philippine Foreign Affairs Department, but not authenticated by Greek Embassy in the Philippines) and Certificate of No Impediment (issued by Philippine Embassy in Athens) be translated directly by Greek MFA? My fiance is Greek and I was given maximum of 30-day stay here (from 24th November). Your generous opinion/advise advice is highly requested. The certificate of no impediment issued by any foreign embassy in Greece (American, Canadian, British, Philippine, etc.) should already be in Greek and therefore doesn’t need to be translated. Normally it’s in Greek on one side of the paper and in the country’s language on the other side of the same paper. Birth certificates from a foreign country (aka, not Greece) need to have an apostille from the issuing country as explained in ‘How to get an apostille‘, and then the birth certificate and attached apostille are both translated by the Greek MFA. The Greek embassy is not involved. I was born in Kharkive Ukraine. or a certified translator graduate of the Department of Foreign Languages and translation Ionian University. What is the easiest and most economical way to do it? please give me an email address and a name. The article above, based on first-hand information and updated regularly, is the only free advice and consultation I provide. In response to your question, see the entry for ‘Recommendations’ at “Comments, Questions and Contacting Me.” All best. Thanks for all you generous work for expats living in Greece! Just a small update: I am an American living in Athens. This spring (2016) and again today (October 12, 2016), I went to the official translation office in Athens (Arionos 10) and the regular service was two weeks and the expedited service was one week, for a one-page translation from English to Greek. They would not do a translation any faster than 7 days. I asked and offered to pay extra. Thanks again for all your excellent information on this site!